I am definitely the potato salad girl at any BBQ. I LOVE potato salad! Although I will be honest, I haven't eaten potato salad in a really long time mainly because I am not a huge fan of the ingredients in most prepared salads or recipes. However, after I recently created my homemade mayo recipe, I realized I could recreate most of my favorite summer salads I'd find in the deli department, like my Carrot, Kale & Raisin and my Broccoli Cauliflower Salad, and so why not recreate my beloved potato salad?! 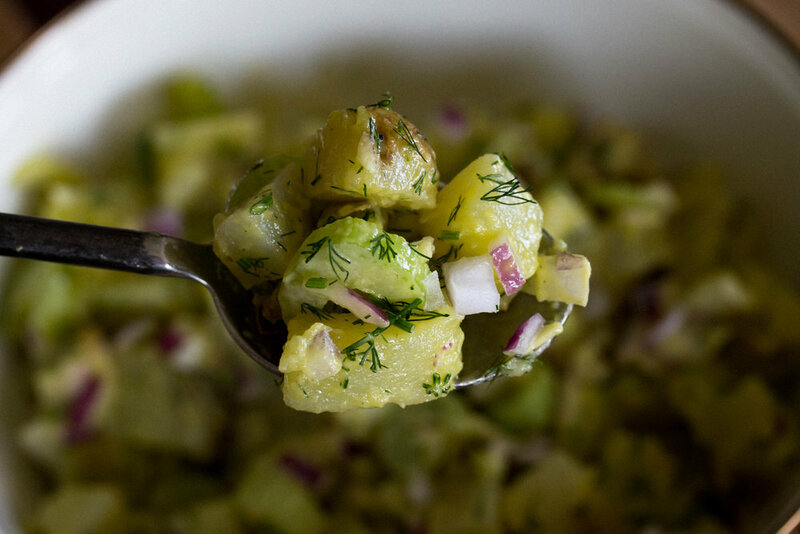 Ok, let's talk about the health benefits of this particular potato salad for a minute. First off, potatoes are super high in fiber so it's great for gut health! They are also high in Vitamin C, B Vitamins, and folate and also have a lower Glycemic Index when boiled. This salad is also full of healthy fats from the homemade mayo, helping to stabilize your energy levels and provide your body with plenty of nourishment. 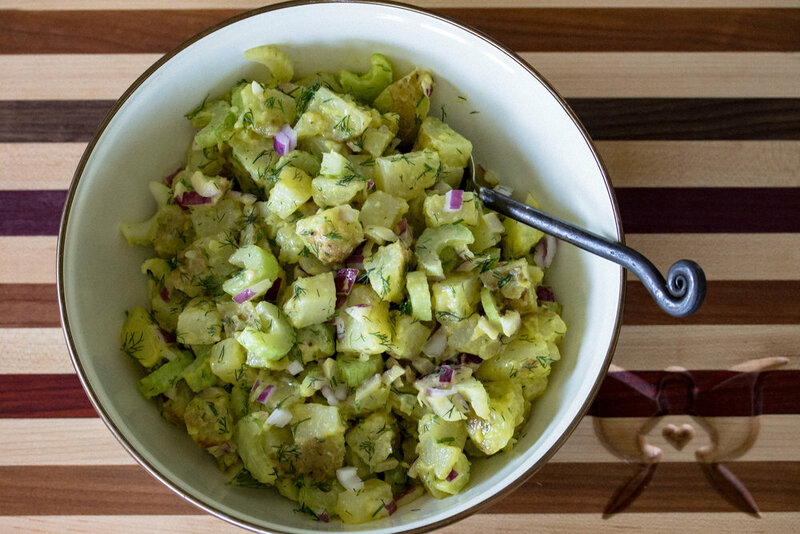 This is such an easy salad to throw together, all you need is the fix-ins like your potato, onion, celery, etc. and mayo and you are set! Can't wait to hear how you like this salad! Enjoy! Fill a large pot with water, add a dash of salt and bring to boil. Coarsely chop potatoes into 1/2-1-inch cubes and add to boiling water. Boil potatoes for about 25 minutes or until firm but still soft (should be able to pierce with a fork). Once cooled, add celery, onions, dill, mayo, juice of 1 lemon and zest of 1/2 lemon and sea salt. Combine well. Option to sprinkle with paprika for garnish and extra color.